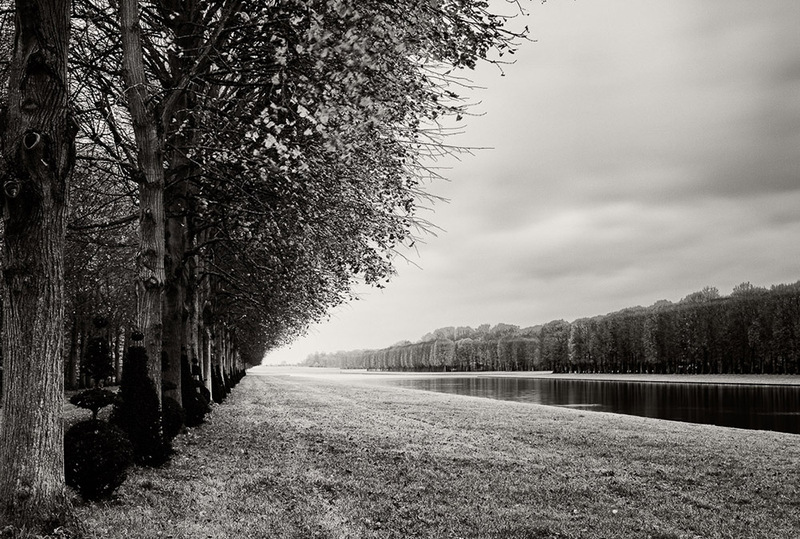 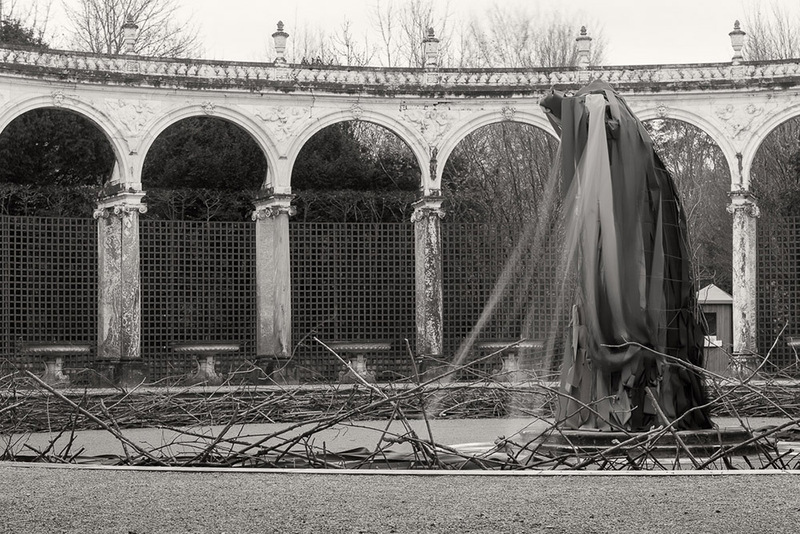 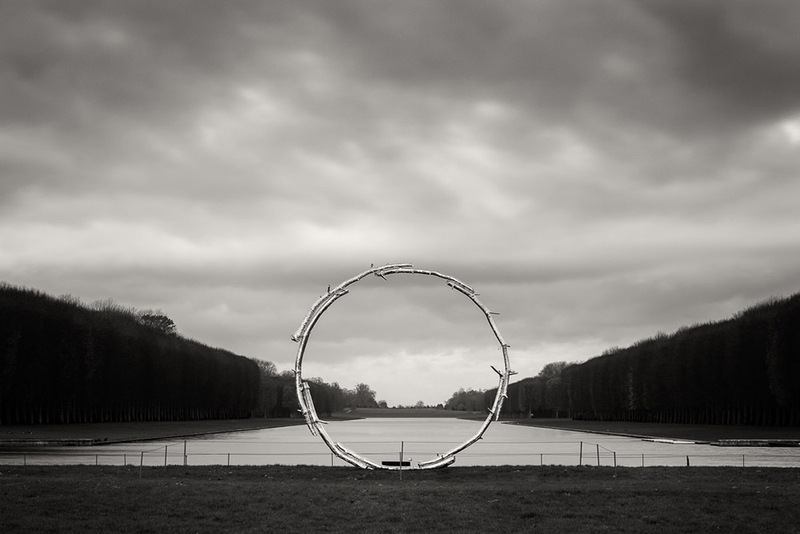 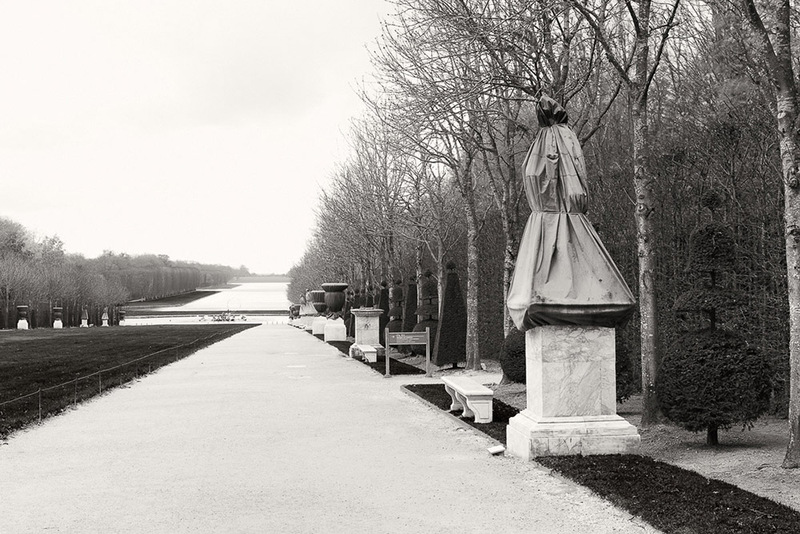 Visiting the gardens of Versailles, one of the most visited public sites in France and an UNESCO World Heritage site, creates feelings of calmness and solitude, deepened by the geometrical formality of the sharp lines and the strident contrast of the shapes of alleys, parterres and statues. 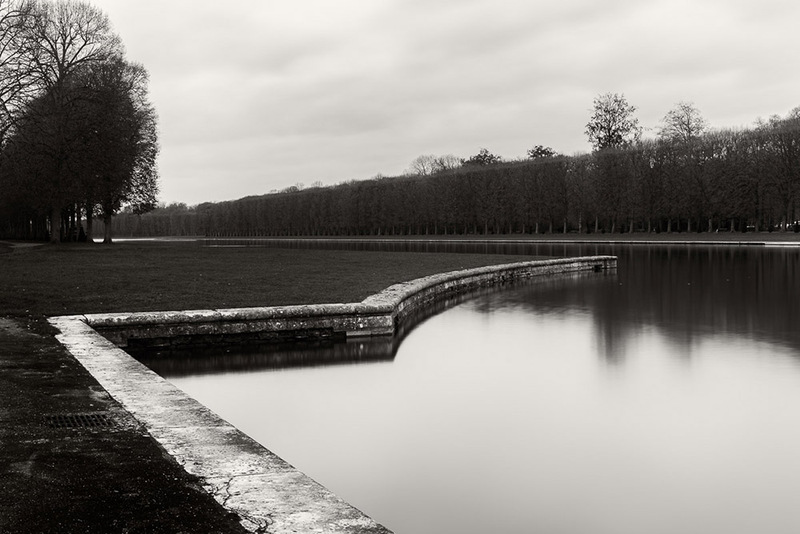 The gardens are situated to the west of the palace of Versailles and cover some 800 hectares of land, much of which is landscaped by André Le Nôtre, a French landscape architect and the principal gardener of King Louis XIV of France. 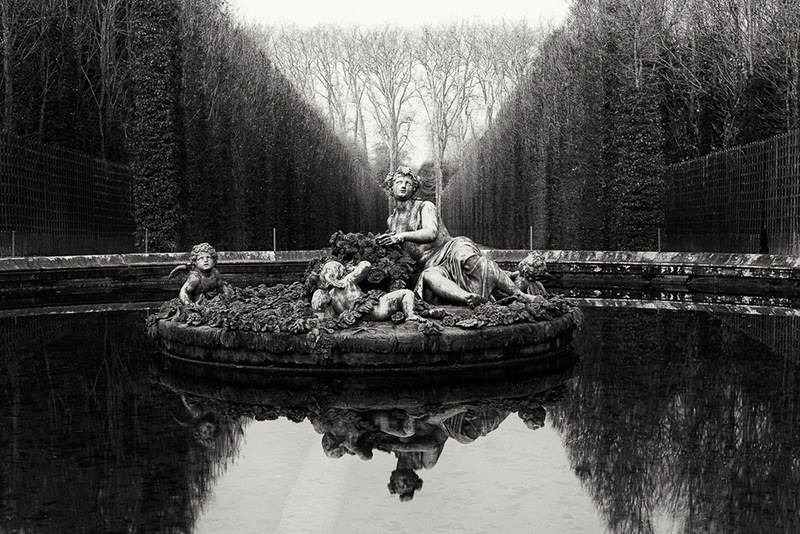 Le Nôtre was responsible for most beautiful gardens of the 17th century and his work represents the height of the French formal garden style (the “jardin à la française”). 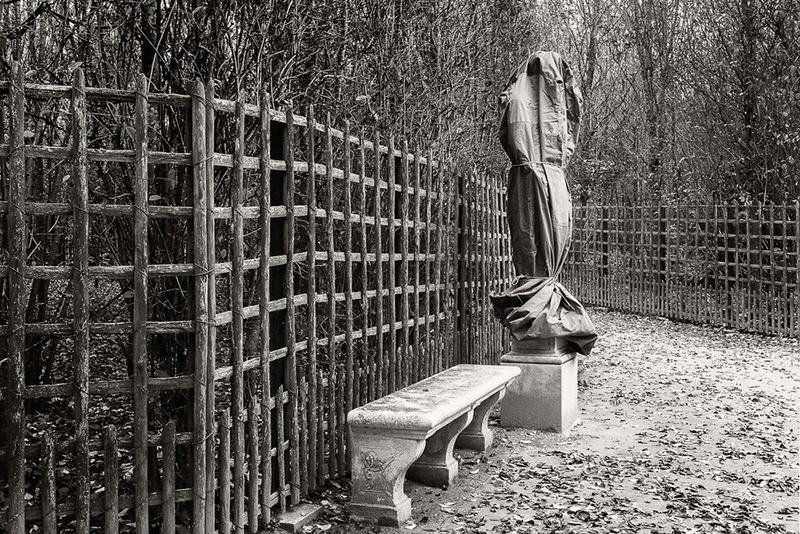 The design of the gardens is both a feast and a challenge for image making. 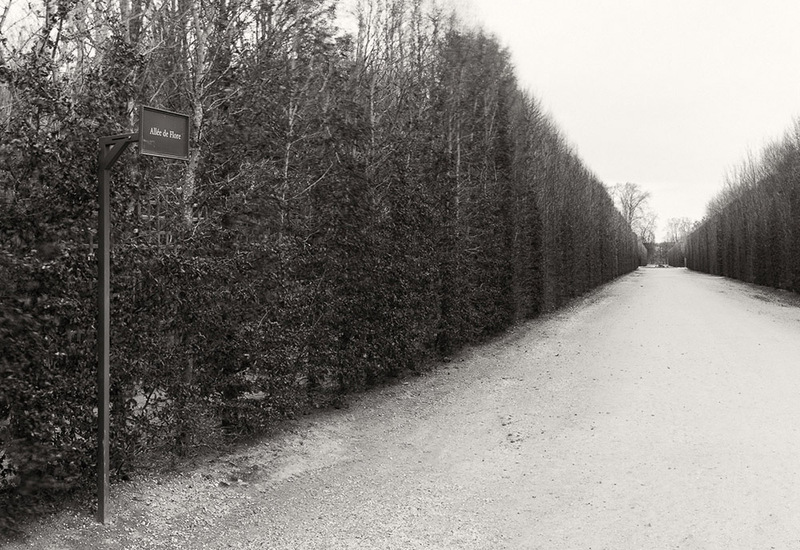 Bright parterres are juxtaposed with shady groves. 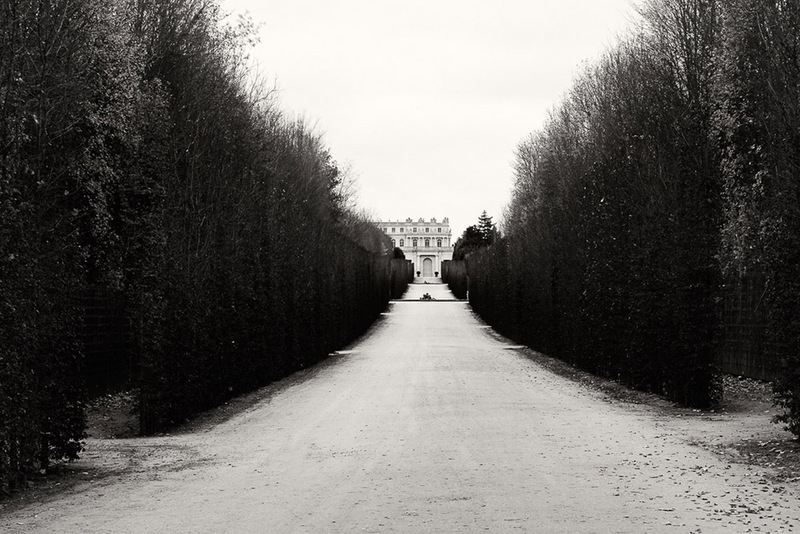 Large axes are interspersed with secondary alleys, walls of greenery strengthen perspectives while yew trees are trimmed into unexpected forms and parterres and alleys are punctuated with more than 300 statues. 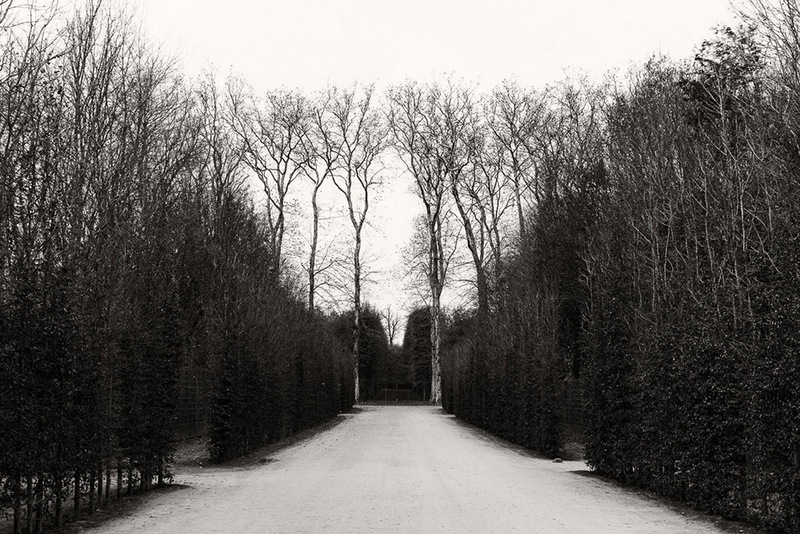 My motivation in this project was to bring out the symmetry and tranquil atmosphere of the gardens and to outline their stark elements with the subtle, yet so firm, Euclidean geometry of their shapes and lines.The foggy winter weather provided a suitable context. 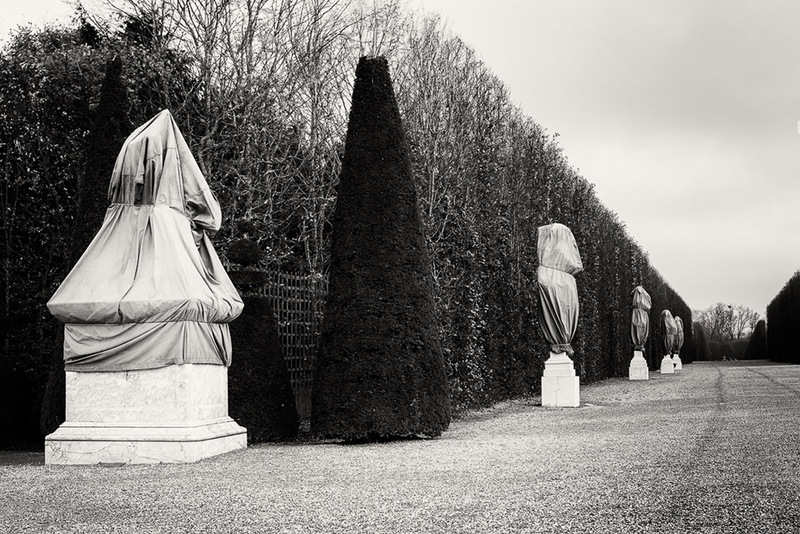 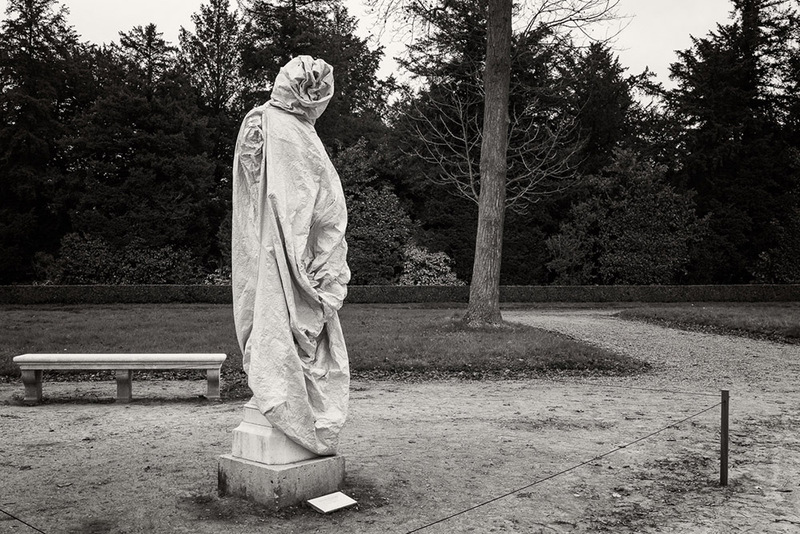 During winter the statues are wrapped up in order to be protected from rain and cold.When you watch the wrapped statues, you feel as if taking part in a theatrical performance, a mystery with enigmatic, unidentified characters.The vastness of the landscape is endowed with power and energy. 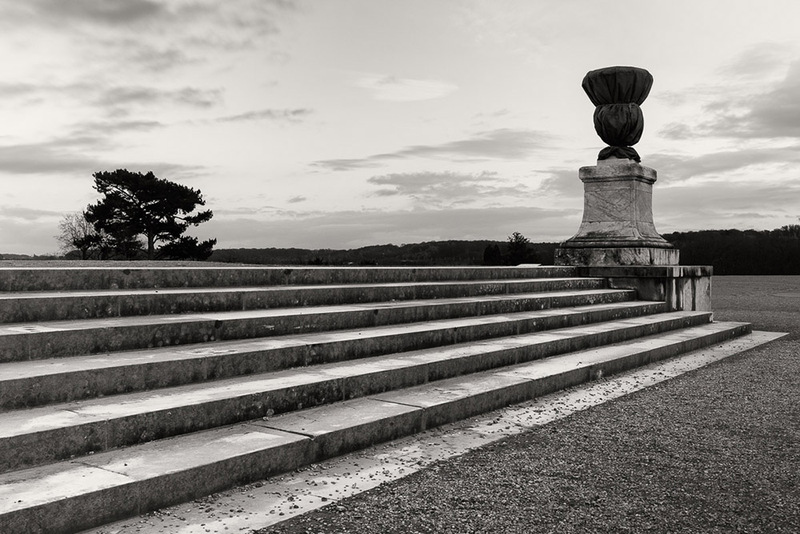 The challenge was to recreate the awe caused by the topography of the place and reveal its substance, texture and coarseness.